Canelo Alvarez-Gennady Golovkin is unquestionably big even among some of the most significant fights in middleweight championship history. Oscar De La Hoya, a former middleweight champion whose company promotes Alvarez, went as far Tuesday as to call the Alvarez-Golovkin fight “the biggest probably” in middleweight history. In modern boxing history, it ranks right up there, according to De La Hoya, with such legendary encounters as Hagler-Leonard, Hagler-Hearns, Hopkins-Trinidad and his own fight against Bernard Hopkins. Kazakhstan’s Golovkin has knocked out 89 percent of his opponents (37-0, 33 KOs) and will defend his IBF, IBO and WBA middleweight championships against Mexico’s Alvarez (49-1-1, 34 KOs), a slight underdog entering their September 16 showdown at T-Mobile Arena in Las Vegas (HBO Pay-Per-View). 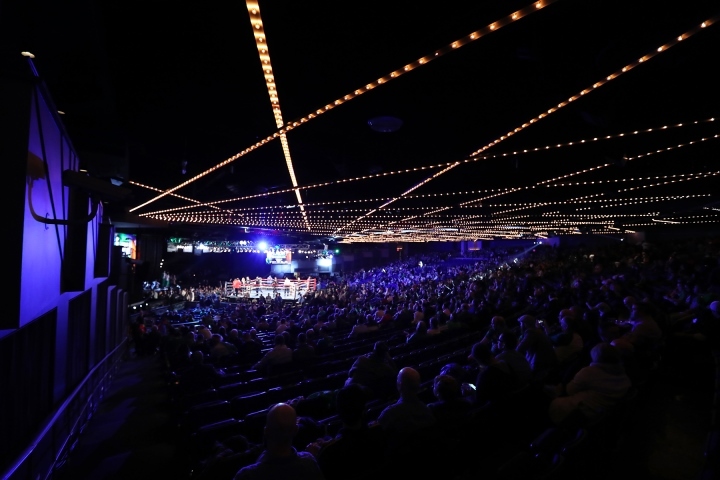 “By far, this is the biggest probably in the history of the middleweight division,” De La Hoya said Tuesday during a conference call to promote the fight. “I mean, obviously we have to wait for the actual fight to see what unfolds and takes place. But in terms of magnitude, in terms of PR, in terms of attention that it’s receiving, in terms of people that will be watching, yes, this has to be the biggest. Earlier during the call, Alvarez said he hopes his heavily hyped fight against Golovkin meets expectations. This fight can sell 100 mil ppvs and won't rank in the top 20 of best MW fights ever.